Mainstream macroeconomics is in a deep crisis in the wake of the financial collapse of mid-2007 and the ensuing Great Recession. What the crisis has revealed is that the remarkable macroeconomic performance of the US and the UK from 1995 to 2006 was just a façade. Hiding behind it, a mountain of unsecured credit and housing debt was accumulating, as a constantly expanding network of secondary markets seemed to be sharing the risk created by such debt, apparently diminishing the risk exposure of individual holders. How that debt mountain collapsed is well known. Mainstream economists did not in any way foresee the crisis, bringing out the failure of the orthodoxy of an entire era in economic thought, teaching, practice and policy advice. As Citigroup’s chief economist Willem Buiter writes (in the Financial Times): “the typical graduate macroeconomics and monetary economics training received at Anglo-American universities, during the past 30 years or so, may have set back by decades serious investigations of aggregate economic behaviour and economic policy-relevant understanding. It was a privately and socially costly waste of resources.” We believe that the theory of the non-accelerating-inflation rate of unemployment (NAIRU), which belongs to the core of graduate macroeconomics and monetary economics, is seriously implicated in creating the crisis. NAIRU theory helped shape the broader macroeconomic conditions within which the spectacular macroeconomic imbalances could build up and eventually lead to collapse. The NAIRU approach must be discarded to provide the space for “serious investigations of aggregate economic behaviour”. The NAIRU is the equilibrium unemployment rate; it bears a strong resemblance to Marx’s reserve army of (unemployed) labour. Equilibrium unemployment is the outcome of the conflict over income distribution between workers (unions) and firms. Workers negotiate money wages designed to give them a certain standard of living, while firms set prices as a profit mark-up on labour costs. Wage setting is assumed to depend on the expected price level and exogenous wage-push factors (including employment protection legislation, social security and minimum wages) and negatively on the unemployment rate. Competing claims by workers and firms are made consistent by means of variations in unemployment. If workers demand “excessive” wage increases (i.e. exceeding productivity growth), equilibrium unemployment will increase, forcing workers to reduce their wage claims. NAIRU theory holds lessons for both macroeconomic policy and labour market policy. Its key macro policy implication is that governments and central banks should not try to promote full employment, because efforts to push the unemployment rate permanently below the critical threshold (the NAIRU) will fail, as doing so will generate only accelerating inflation (not growth). Fiscal and monetary policies are ineffective as unemployment is regarded as structural or “voluntary”; workers supposedly either lack the required skills or prefer social transfers to employment. The key employment policy lesson of the NAIRU doctrine is that labour markets should be deregulated, welfare states trimmed down, and the institutional wage bargaining position of unions weakened, so as to reduce real wages (relative to productivity) and improve firms’ profitability. This would, according to the doctrine, lead to increased investment, reduced unemployment (especially of the lower-skilled) and improved overall macroeconomic performance. It follows that there exists a conflict, or trade-off, between growth and equity. In other words the price to pay for higher employment is a low-pay sector. Why and how is the NAIRU model implicated in the current crisis? As Gabriel Palma (2009) compellingly argues, the process of financial deepening in the US (and globally) has been closely related to the huge sustained increase in income inequality after 1980, in a process of simultaneous causation. NAIRU-based economics has created the deregulated labour markets and scaled-down welfare states, within which the very sharp rise in inequality, especially in the US, has occurred, while at the same time legitimising high inequality as the unavoidable by-product of a low-unemployment economy enmeshed in global competition. These huge inequalities have in turn destabilised the system by making it more prone to financial instability. This last fact is easily explained. One side of the increasing inequality in the US has been stagnant average real incomes for the bottom 90% of US households. This has led not only to a decline in personal savings but it has also created a “captive market” for bank loans and sharp increases in household indebtedness (to sustain the “American Dream” on credit). The flip side of the coin has been a dramatic rise in real income and wealth of the top 10% (and especially 1%) of households, which created superabundant liquidity in US financial markets, transforming them into unstable institutions incapable of self-correcting. High Net Worth Individuals (HNWIs) were the leading providers of finance to hedge funds, which in turn were the leading buyers of securitised mortgages. The HNWIs demanded above-average returns on their investments from the hedge funds, as they were also paying hedge fund managers above-average fees and bonuses. Rising inequality is at the root of the (financial) crisis. On the one hand, increased inequality depressed aggregate demand and prompted monetary policy to react by maintaining low interest rates, which itself allowed private debt to increase beyond sustainable levels. On the other hand, the search for high-return investments by the HNWIs led to a process of “virtual wealth creation” on an unprecedented scale, based on financial innovations which could go on and on in effectively unregulated financial markets. Net wealth became overvalued and high asset (house) prices gave the false impression that high levels of debt were sustainable. The crisis revealed itself when the “financial weapons of mass destruction” exploded. Crucially, superabundant credit “was not used to finance new [technical] inventions” as in earlier boom periods; as Robert Skidelsky (2009) explains, “it was the invention. It was called securitized mortgages. It left no monuments to human invention, only piles of financial ruin.” Financial markets collapsed once inequality-driven imbalances and instability became too large. So although the crisis may have emerged in the financial sector, its roots are much deeper and lie in a structural change in income distribution that has been going on for almost 30 years. NAIRUvian macro and labour market policies must take a large part of the blame for unleashing and at the same time legitimising an unequal, unstable and unsustainable profit-led growth process. To prevent financial fragility and crisis, the key issue for macro policy is to impose “compulsions” and “restrictions” on the capitalist system, to discipline firms, investors and financial markets. Labour market regulation could be one such systemic compulsion, in addition to stricter financial regulation and firm-level co-determination, aimed at discouraging non-productive, speculative activity. More egalitarian wage-led growth and low unemployment are crucial to avoid the build-up of excess liquidity which triggered the current crisis. This is why a serious rethinking of the NAIRU approach to macroeconomics is needed. 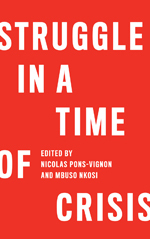 The present crisis offers a historical opportunity for progressive change: given the loss of credibility of financial laissez-faire (Anglo-Saxon style), the legitimacy crisis of stock-market capitalism and the cynicism of Wall Street and the City, the global crisis could force a return of the democratic state, of regulation and of more egalitarian full-employment policies―provided there is a viable alternative to NAIRU macroeconomics. The urgent need is therefore a reconstruction of macroeconomics in which the various positive contributions which labour and labour market regulation make to macroeconomic performance are given their rightful place. Wages, for instance, are not merely a cost to firms (as the NAIRU model assumes), but higher wages also provide macro benefits in terms of higher demand and faster productivity growth. Higher wages mean higher (consumption) demand, higher capacity utilisation for firms, and hence higher profits. Capital accumulation, in turn, will increase in response to the growth in demand and profit and this will result in higher productivity because investment in new equipment embodies the most advanced technologies and also due to more rapid learning-by-doing in firms. Higher wages and labour market regulation (offering strong legal protection to workers and giving them an effective say and stake in how they do their jobs and how firms are run) will motivate workers to commit to firms through higher productivity. Higher wages and pro-worker regulation will also motivate firms (and make it easier for them) to step up investment in labour-saving technological progress, thus raising productivity growth. And finally, central wage setting is good for overall productivity, as it rewards highly productive enterprises and forces the relatively unproductive ones out of business. If these positive contributions by labour and labour market regulation are taken into account, it can be shown (Storm and Naastepad, 2011) that there is no conflict between growth and equality. The main reason is that more regulated and co-ordinated industrial relations systems are associated with higher labour productivity growth. Higher productivity growth and stronger technological dynamism in turn allow higher real wage growth (while maintaining firms’ profits and investment), thus creating the conditions for high and egalitarian growth with relatively low unemployment. The mainstream NAIRU approach rules out any possibility for egalitarian growth. Hence, the first step in creating progressive change is to expand the academic space and the public visibility of alternative macroeconomic approaches (beyond the NAIRU approach) that do address the deep economic problems of our time. Servaas Storm and C.W.M. Naastepad are both Senior Lecturers in Economics at the faculty of Technology, Policy and Management at Delft University of Technology, The Netherlands. Servaas works on macroeconomics, globalization, agricultural development and the economics of climate change. He is one of the editors of the journal Development and Change. C.W.M. works on macroeconomics, (un-)employment, and technological change. Palma, Gabriel (2009), The revenge of the market on the rentiers, Why neo-liberal reports of the end of history turned out to be premature, Cambridge Journal of Economics Vol. 33, No. 5. Storm, Servaas and C.W.M. Naastepad (2011), Macroeconomics Without the NAIRU, forthcoming.